Is your data center facing increasing demands for data retention, security and availability? IBM tape media solutions are designed to help reduce your costs while providing you with the assurance that your data is safe and secure. With 65 years of tape storage innovation, IBM continually raises the bar on protecting your data. 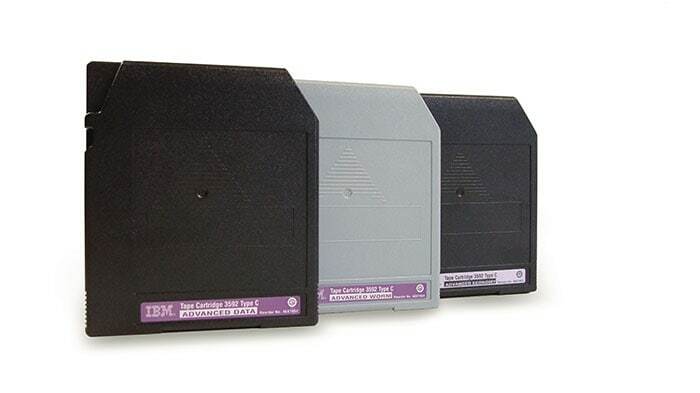 IBM extensively tests our tape media on IBM tape drives and libraries to drive manufacturing and quality improvements. You gain peace of mind in sourcing media from a trusted, time-proven tape technology leader.